The Volunteer Nurse work with the Health Services Director to manage all health related issues at camp from first aid to medication distribution. May also help with other camp programming and functions. Work with the health services director to complete the shared responsibilities. Review the standing orders to become familiar with the camp policies related to care. Collect all camper medication upon their arrival and assure that you completely understand the directions for its use and return all medication to camper at the end of the session. Administer all medication at the appropriate times and dosages. Keep accurate records of when the medication is given according to standards. Coordinate getting all health forms and insurance information from camper’s families to staff before the session begins. Maintain health forms in alphabetical order and easily accessible so that they can be found quickly in an emergency. Maintain accurate records of all accidents, first aid, and medical treatments of everyone (campers, staff and guests) at camp. All visits and treatments are recorded. All entries are in ink, dated, and signed or initialed by the person making the entry. Must be on call 24 hours a day and ready to act in an emergency situation. Follow all Standards set forth by the ACA (American Camping Association) and applicable local and state Laws relating to Health Care. Fill out an incident report for all injuries and out of the ordinary occurrences. Keep the infirmary clean, well stocked, neat and well organized. Keep all medication locked away securely. Organize all health records and health forms. Be available to assist with any first aid needs that arise in camp. Develop a schedule of coverage with the health supervisor. Assist in any camp area at any time as directed. 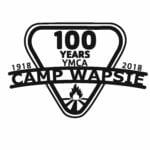 Create and maintain a harmonious positive working relationship with fellow staff, YMCA Wapsie Campers and participants. Must have at least experience in the nursing field. Must be able to work with and enjoy interacting with people of all types and ages, with a special emphasis on children, modeling and utilizing the important core values of caring, honesty, respect and responsibility. Should be a Registered Nurse or Medical Doctor and share that certificate with camp.